Michael Hendzel knows all too well that there is little that people can do to control the stability of their genetic code. But he hopes his latest research will help impact this elusive and crucial aspect of medicine. Published in Nature Cell Biology, this research explores a previously unknown secret to DNA repair. When a piece of DNA suffers a break in both of its strands, it is repaired through a process called 'error-free repair pathway', which, in essence, allows the broken strand to replicate the missing sequence from an intact strain of DNA. Once the DNA strands break, however, a protein called KU binds itself to each end, preventing the error-free repair process from initiating. 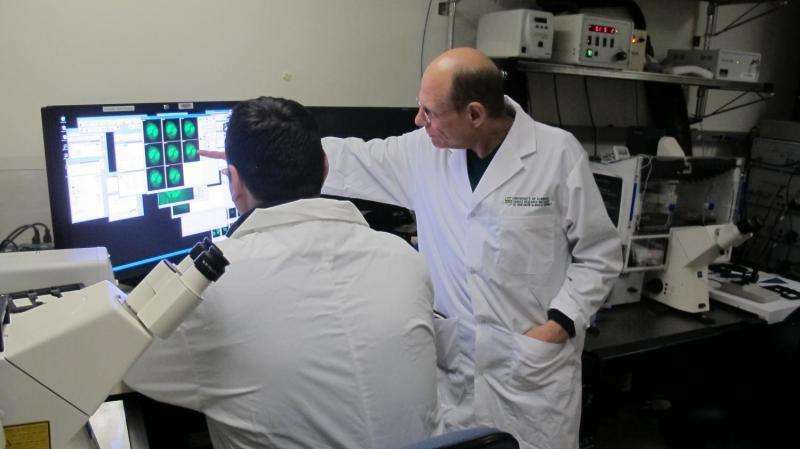 Hendzel and his lab discovered that a poorly characterized protein called RNF138 removes the KU protein from the ends of the broken DNA, allowing the repair process to begin. "There's hardly anything known about [RNF138]. What is known about it is completely unrelated to DNA repair," says Hendzel, a professor of oncology in the University of Alberta's Faculty of Medicine & Dentistry. "However, if you don't have this enzyme, then this error-free repair is stopped. You can't do it. If you can't do the error-free repair, among other things that happen, is that you expect these cells to be cancer prone." With every cell in your body completing this process an average of 10 times each day, there is plenty of room for mutations to occur. Bearing this in mind, it's the future implications of this research that truly excites Hendzel. He notes that there are many steps that have yet to be taken, but this discovery could potentially lead to a new biomarker to predict which patients will benefit from specific types of chemotherapy. There may also be opportunities to develop drugs that treat cancer by interfering with this process. "In terms of the practical impact on where we go from here, my lab will learn more about the protein and how it's regulated. We've already learned quite a bit more than what we have recently published and this protein is looking more and more important as we progress," he says. And it's implications for reversing ageing? Can you create a Mouth-less Mouse by manipulating its DNA? May be it can be injected nutrients! It should be a prelude to Creation of Plant like mouse....May take centuries....What the heck.